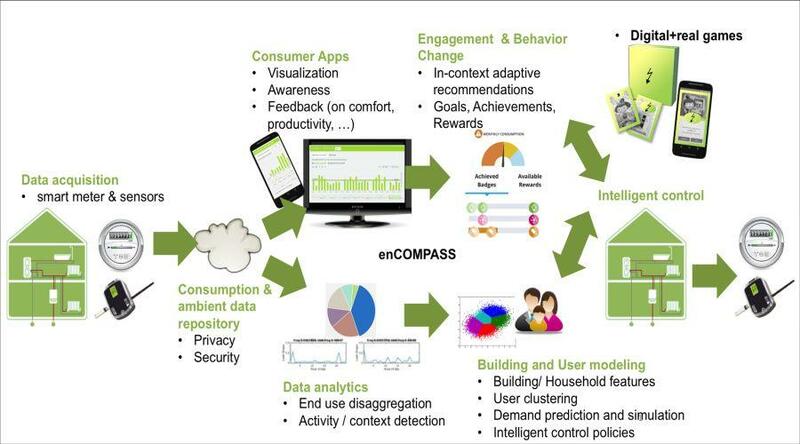 The enCOMPASS project aims to cultivate energy saving behaviour in users of public and private buildings through the development and use of a user-friendly system which helps in understanding power consumption data and its optimal management. The project enCOMPASS, in which the National Documentation Centre is participating, is progressing well. It aims to cultivate energy saving behaviour in users of public and private buildings through the development and use of a user-friendly system which helps in understanding power consumption data and its optimal management. More on this can be read in the fourth newsletter which the project has just issued. Under the project, user-friendly applications are being developed for three different climate zones and three different types of building (homes, public buildings and schools), in order to cultivate the awareness and energy saving behaviour of consumers. The expected outcomes will be beneficial to the environment, economy and society. Following the first positive results of the pilot application, the 2nd version of the enCOMPASS platform is being released. This includes an extended version of the context-aware recommender service, and a new feature, disaggregation, has been added. 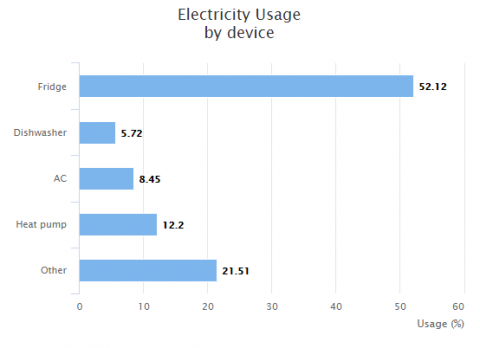 The latter detects various devices by consumption profile and calculates the consumption of each device at a time, allowing users even smarter energy saving. EnCOMPASS will demonstrate its effectiveness in three different European geographic areas, characterized by different climate conditions (humid continental in Hassfurt in Germany, Mediterranean in Athens and Thessaloniki in Greece and sub-continental in Gambarogno in Switzerland) and will be tested in three different types of buildings (residential, schools and offices). In the public library and offices of the National Documentation Centre (EKT) in Athens, the change in everyday energy activities of library visitors and personnel of the EKT will be evaluated. New features will be introduced to the participants of the enCOMPASS project. Users will now not only receive tips and recommendations but have the possibility to confirm to a semi-automatic execution of the recommendation. In practice, the user receives notifications with personalised tips for energy saving. 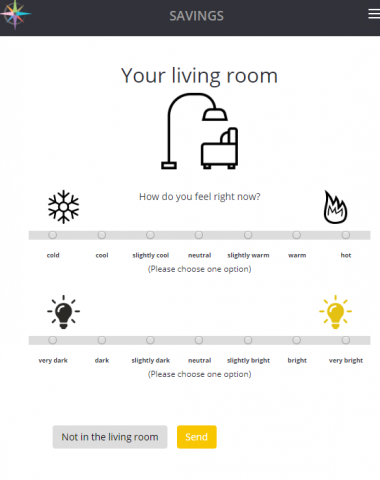 The recommendations are based on the user conditions to optimize energy savings. The FUNERGY application is linked to the FUNERGY board game (more information in our last year’s newsletter). By scanning the QR code on the playing cards in the board game, questions on the smartphone will pop up and need to be answered. 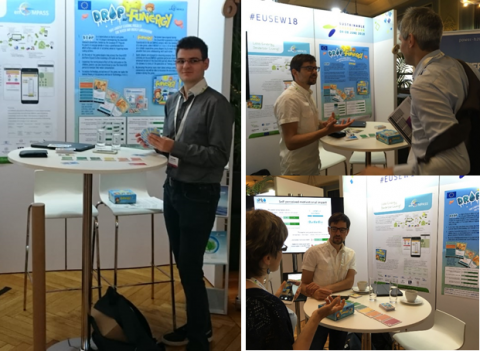 As always, we’ve also been busy sharing our results and insights through papers at scientific conferences and presentations at scientific, industry and citizen events. The National Documentation Centre is not only responsible for the pilot’s implementation in Greece, but is also using the enCOMPASS platforms in the National Hellenic Research Foundation building which houses the National Documentation Centre and its library. 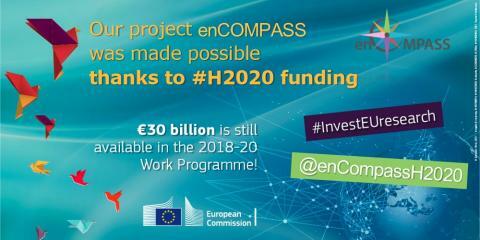 enCOMPASS is funded by Horizon 2020, and aims to demonstrate how to save energy successfully and how the needs of organisations can be met energy efficiently, be economical and easy to use through a holistic approach, which incorporates visualisation of energy data gathered by smart sensors, information generated and proposals for energy saving, smart control and adaptive incentives through gamification. The project partners include: Politecnico di Milano, Italy, coordinator; European Institute for Participatory Media, Germany; Stadtwerke Haßfurt GmbH, Germany; NABU Naturschutzbund Deutschland, Germany; Watt + Volt (WVT), Greece; Sopracenerina Electric Company, Switzerland; Center for Research and Technology Hellas, Greece; National Documentation Centre (EKT/NHRF), Greece; University of Applied Sciences of Southern Switzerland, Switzerland; Set Mobile S.R.L., Romania; Kaleidos Games, Italy; Kaunas University of Technology, Social Responsibility Research Center, Lithuania; Paradox Engineering SA, Switzerland; Gravity R & D Zrt., Hungary. Newsletter October 2018 Second release of the enCOMPASS platform goes live!